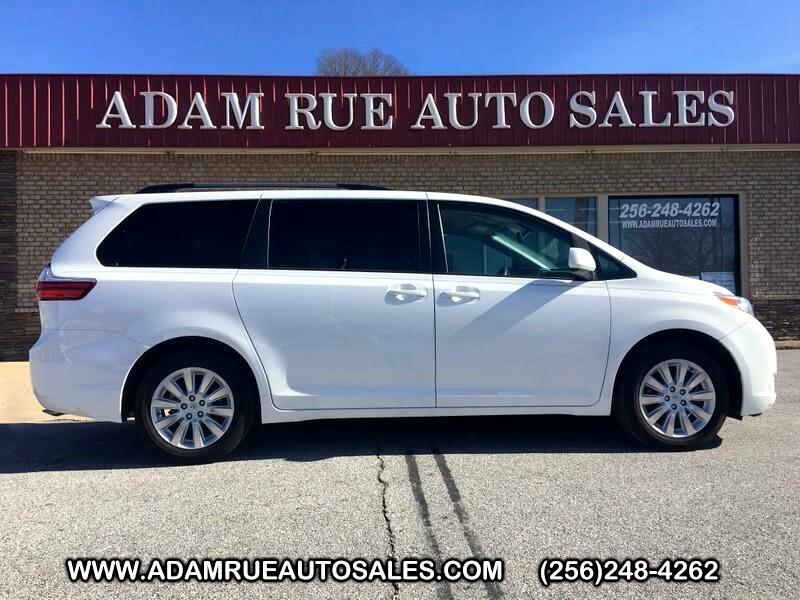 Adam Rue Auto Sales has a wide selection of exceptional pre-owned vehicles to choose from, including this 2015 Toyota Sienna. Once you see this Toyota, you'll quickly see that this is the perfect vehicle for the outdoor junky! You'll even feel relaxed knowing that this All-Wheel drive vehicle will get you to where you are going no matter what may come your way. Also, with this Toyota Sienna's dependable control you'll be able to drive into the sunset without a care in the world! Driven by many, but adored by more, the Toyota Sienna LE is a perfect addition to any home. There are many vehicles on the market but if you are looking for a vehicle that will perform as good as it looks then this Toyota Sienna LE is the one! More information about the 2015 Toyota Sienna: The minivan segment is a fiercely contested market in which features, pricing and capacities remain extremely competitive. The current Sienna continues be leader with its strong V6, 6-speed automatic transmission and mileage estimates of 25 mpg on the highway. The Sienna distinguishes itself as being the only minivan to offer all-wheel drive as an option as well as seating configurations for up to 8 passengers. Even the entry-level L trim includes such comfort options such as keyless entry, 3-zone air conditioning and 10 cup holders. This model sets itself apart with Available all-wheel drive, up to 8-passenger seating, true car-like handling, V6 power, spacious, comfortable interior, and fuel economy Thank you for considering Adam Rue Auto Sales! We are proud you are here. Our dealership is focused on making your buying experience as pleasurable as possible. We understand how difficult it can be finding the perfect vehicle. Our staff has been in this business many years and are trained to be professional and courteous while assisting you. After all, you are the reason we are here. We want to be a little different than what you will find down the street. We stock quality vehicles and look forward to treating you like family.